It’s been 18 years since the last Daytona USA arcade title. As any child growing up in the 90s will tell you, arcade games used to be a pretty big deal. Often located just off bowling alleys, these dark, neon-lit zones of delight invited youngsters of varying ages to spend those hard-earned pound coins on titles like Time Crisis, Dance Star and Daytona USA. A SEGA title that also featured on the largely unheralded Sega Saturn and Dreamcast, Daytona USA was at its very best as an arcade game which invited kids to sit in realistic-looking car seats to experience a driving game that, while fun, was probably pretty far removed from the reality of racing. The very first Daytona USA debuted way back in 1994, and a follow-up emerged four years later with Daytona USA 2: Battle on the Edge. Then, as more and more gamers turned to consoles for their digital racing fun, things went a bit quiet…until now. Because, in a development few could have predicted, Daytona USA is coming back to arcades with a brand new title. 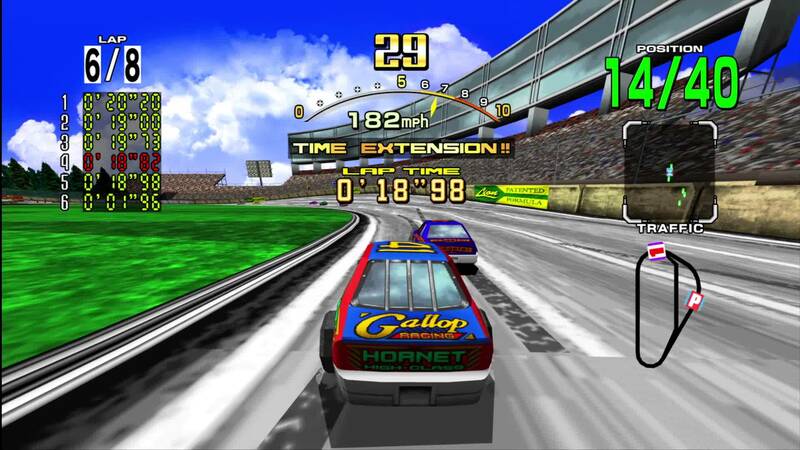 Officially announced by Sega, Daytona 3 Championship USA will boast noticeably improved graphics that will be displayed on a 47-inch screen. Even better still, arcade owners can link up to eight two-player cabinets together for the ultimate multiplayer arcade experience. Featuring new cars, modes and a further three tracks, the original game engine comes intact while arguably the most notable new feature comes via a special live in-game camera with a 27-inch spectator video screen. Having been showcased as the recent at a recent gaming expo, the game could arrive very soon, giving gamers both young and old the perfect excuse to pop out for a bit of arcade action.